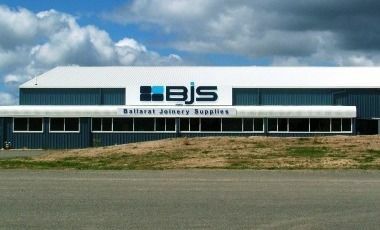 Since 1955, Ballarat Joinery Supplies has supplied for export, commercial and retail. We are the locally owned business that supplies all your joinery needs. We pride ourselves on quality control and turnaround time. Our fantastic new purpose built premises at 20-22 Old Creswick Road, which will allow the talented staff to supply you with an even greater range of products and services. Ballarat Joinery Supplies specialise in Laminate benchtops, Kitchen components, all different door materials, various boards all cut to size, as well as kitchen accessories such as handles and door knobs, door hinges and all things to do with kitchens. Our expert team of 15 members have many years of experience between them. Half of the team is in manufacturing and the other half is in sales. Ballarat Joinery Supplies have just installed three new machines to manufacture the latest in benchtops, and offer an extensive range of laminates, with over 3000 colours to choose from. We can also order timber bench tops to size and can supply benchtops made of reconstituted granite. Our new showroom boasts a fantastic kichen display where you can see samples of the many and varied designs in cupboards, benchtops, doors, board products, hinges, knobs & handles and fittings. We invite everyone to come and check out the brand new showroom in-store.